After buying 2 new 2TB Western Digital Green hard drives and setting it up as part of a Linux software-based Raid 5, I noticed that the drives would ‘click’ every time a file is accessed after a period of inactivity. Running smartctl -a /dev/ would also trigger this ‘click’ to happen and would report the Load_Cycle_Count increment by one. What appears to be happening is the Western Digital drives are automatically parking the disk heads after a period of 8 seconds of inactivity. This will cause the head to ‘click’ every time it unparks when an IO request is made. Unfortunately, the constant park/unparking of the heads causes an unnecessary amount of strain on the disks, which I very much want to minimize on a new set of disks. capabilities:  (0x7b) SMART execute Offline immediate. 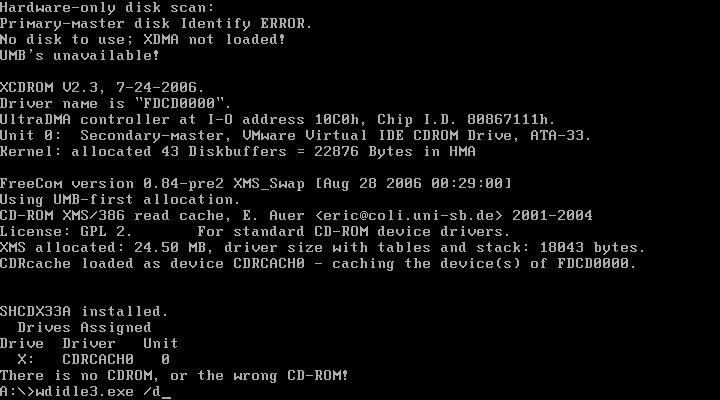 Error logging capability:        (0x01)Error logging supported. recommended polling time:  (   2) minutes. recommended polling time:  ( 255) minutes. recommended polling time:  (   5) minutes. SCT capabilities:        (0x3035)SCT Status supported. Although the Load_Cycle_count isn’t that high, the drive was mostly idle or busy rebuilding the raid array which doesn’t justify the ~1.7 cycle counts per hour. The solution to this is to run Western Digital’s WDIdle3 utility which allows a custom timeout to be set instead of the default 8 seconds. 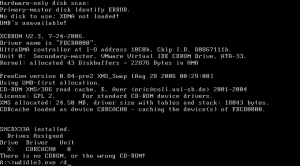 Unfortunately, WDidle3 is a DOS only program and therefore the computer must be booted in DOS before the program can be executed. 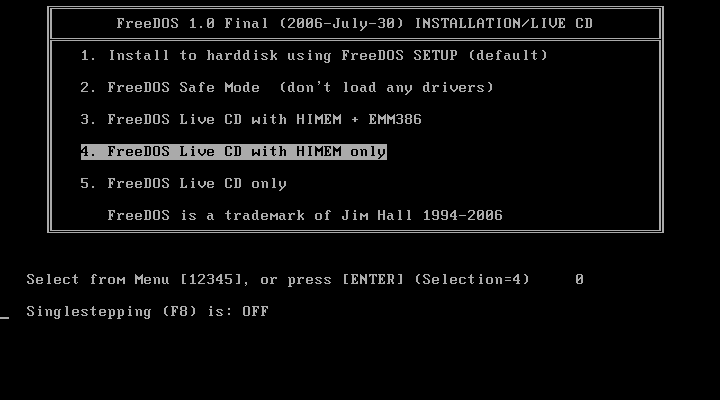 If you’re like me and don’t have DOS readily available and have no CDRom or a floopy drive, the easiest way is to load up FreeDOS under PXE with the WDIdle3 utility as part of the FreeDOS image. * Yes, these screenshots were done under vmware. Couldn’t take a picture of it in action. After disabling the timer in my WD20EARS, the Load_Cycle_Count remains virtually static and the ‘click’s have disappeared.